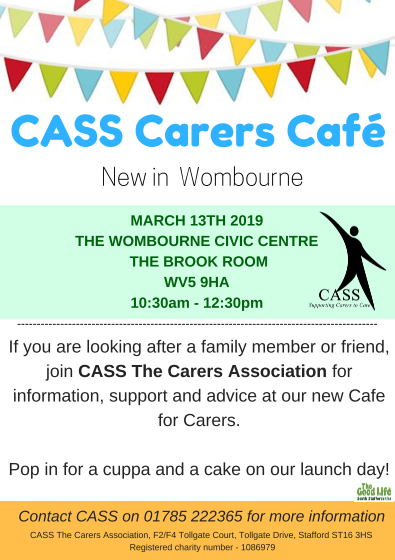 From Wednesday 13th March 2019 in the Brook Room from 10.30am – 12.30am. 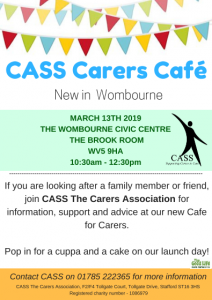 If you are looking after a family member or friend, join CASS The Carers Association for information, support and advice at their new Cafe for Carers. Pop in on the launch date for a cuppa and a cake. Contact CASS on 01785 222 365 for more information.